Oh vacation plans. It seems like a fun easy enough thing to do but having now to consider vacation days as a finite entity is motivating to make the most of it. Our original plan for this year was to head back to our Australian home for the holidays and see family, especially since our twins there are growing up so fast that I am afraid they will forget my name. Partly due to our extended home search we put that plan on pause for now. Instead, we seem to have a wedding attending kind of year. For the first time in my life we are able to say yes to a few of them. We had a lovely Polish wedding in Toronto, we were invited to an Italian/English wedding in Sardinia and an upcoming family wedding in Florida. We already missed two beautiful events, one in Kenya and one in Australia, so when we received the invitation of our Mancunian friends for their Italian nuptials we put our planning hats on. We managed to set up a trip to see family, friends and reserve a bit of time for ourselves. First part of the trip was to our adoptive country, England. A lot of thought was put into if we are ready to go back to Manchester, and although every other day I have The Smiths in my ear, I thought it was too soon; which is a bit disappointing since we could not see some very dear friends of ours this time. The scenario that describes the best how I feel about it is a break up while you still have feelings for each other. It is better not to see each other for a while until we are ready to move on to the next phase of our relationship. I know Manchester will be part of our lives in one way or another but for now we needed the distance; there is still chemistry there. 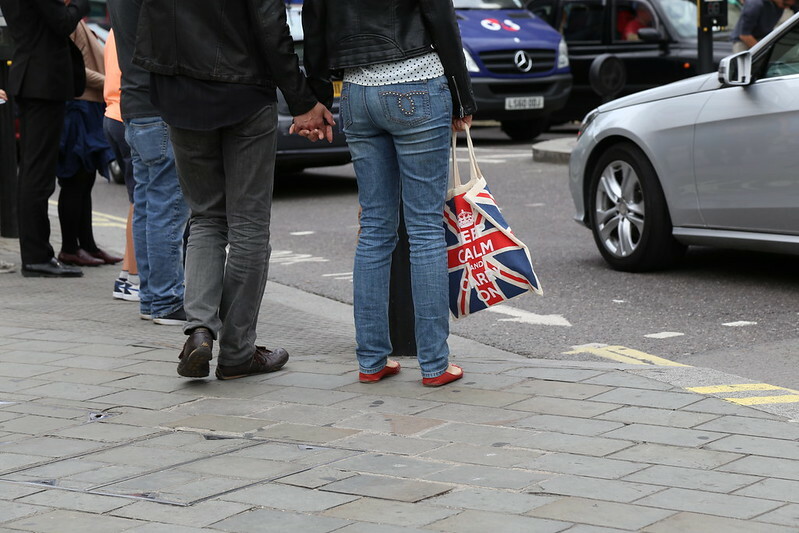 We landed in the morning and enjoyed a very odd day London. We had such a full on week preceding the trip and with no sleep from the flight I felt a bit like a zombie. We spent the day visiting work friends and being escorted around by Mr. E, a regular wander companion, one of our favourite partners in travel adventures. My first blog post with travels had a feature of him. We also had a bit of a half a day to spend on our way from Italy and it was worth mentioning that Mr. E took us to see Warhorse an impressive play with some amazing puppetry. I also have to brag a bit about Mr. E, as he is not just a loud laughing/sneezing pretty face. Oh no, no he is also a smart one and he works with, be ready for it, Hydrogen Fuel Cells. Yes people, he is on the cusp of very interesting research work which of course, makes me look very good. I can work it in conversations and spin it, maybe even bring up Mr. H and G biking around the world and dinner conversations will be impressed everywhere. Here is a video to see what he does. We may have not made it to Australia, but we are lucky enough to have family a bit closer, so most of our time in UK was spent with my sister-in-law and her husband (S & P), on a trip in Norfolk, to remind us why we love UK. It was a lovely three days spent in green wonderland, with exquisite food, some nice walks and some happy family time. It is an easy yes to any suggestion coming from S & P, we blindly trust their choice of places to see and food to eat. 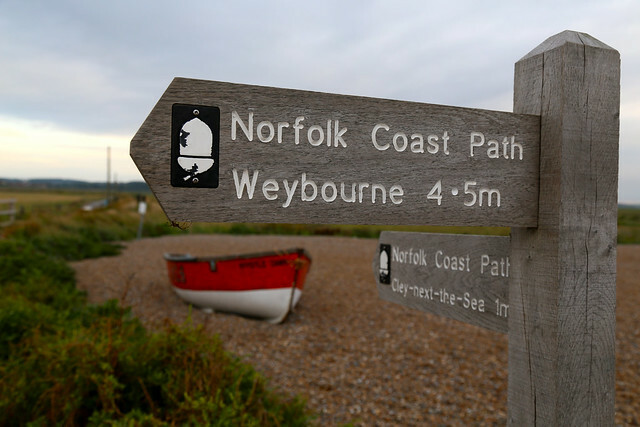 Our homebase in Norfolk was Cley next the Sea. We stayed in a cute, welcoming cottage Sky Blue Cottage, where a Victoria Sponge Cake awaited us. Enough said. 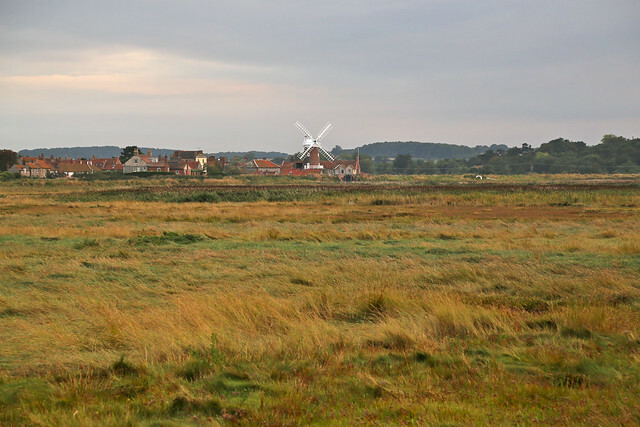 Within walking distance was the beach, with a classic windmill, the Cley Towermill to be admired on the way. One of my birthday gifts included a book called ‘The Norfolk Mystery’ by Ian Sansom, a cute little murder mystery to accompany me, and make me chuckle everytime I recognize the name of a place. 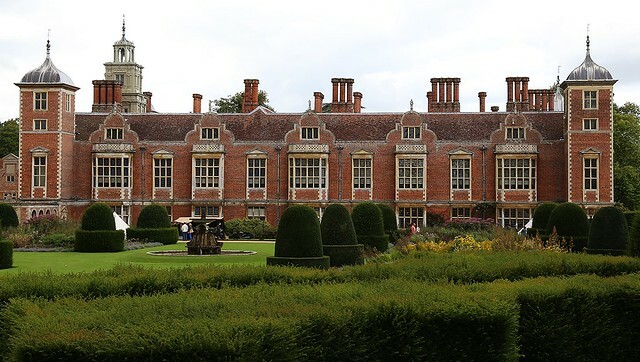 The Blickling Hall, a gorgeous location, at some point owned by the Boleyn family. What spectacular grounds, and garden. We were lying on the grass embracing the beauty of it all and imagining how much work and how many gardeners are needed to maintain it. I can imagine this place being an absolutely breathtaking to walk through during blooming spring season. A bit late in the game, our walk was lovely nonetheless with a bit of rain and lots of cute dogs along the way. We visited the seaside here and it was one of those unique times when the tide was all way out and we were walking on the long, looong beach. 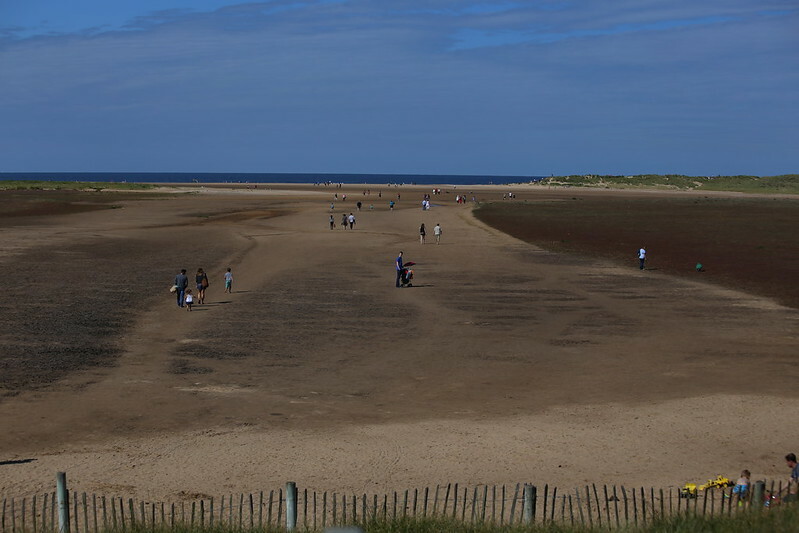 A bit of an odd experience to see it like this and think you are walking on land rightfully belonging to the sea. There is never shortage of good places to eat in London. We tried to make it to the good ol’ Koya but we found it closed, so instead we ended up at Princi. It is a challenge to find something you don’t like there, even if you just look at the colors of their food and you are happy. We started there and on our departure day we had a lovely breakfast at Caravan. The highlight was the delicious sea food we had in Norfolk. 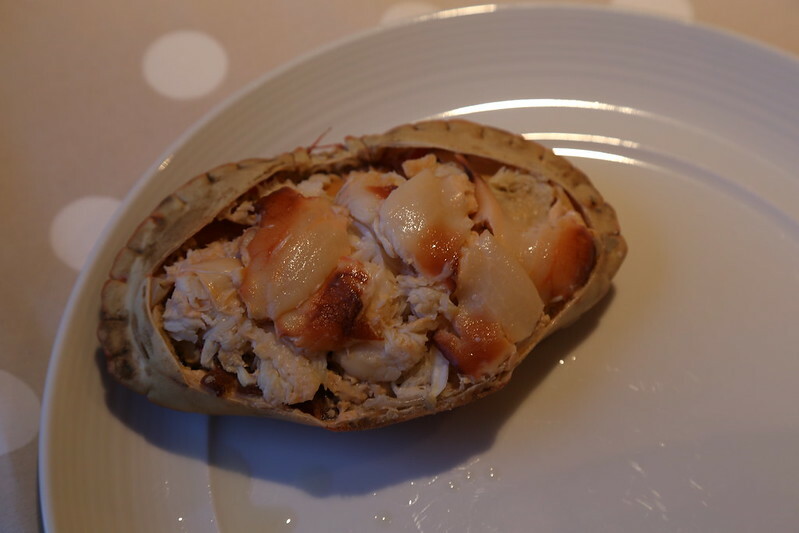 A home dinner with seafood from Cookie’s Crab shop, a third generation owned place in Salthouse. A second delicious seafood lunch from Wiveton Hall Café with a beautiful crab salad and for dessert scone with an amazing raspberry jam. Cley had some lovely locally sourced shops with both Picnic Fayre and Cley Smokehouse. Of course I bought something to bring home. Although the temptation was high with a great ceramic store in Cley, I only bought books on this trip. The Bickling Estate has a lovely bookshop, selling old books to help support the estate, here I bought ‘Diary of a Nobody’ by George and Weedon Grossmith from the Folio Society. Meanwhile in Cley there is another lovely shop Crabpot Books, where I purchased a fun pair of books by Milan Kundera and Oscar Wilde. From previous posts you may have noticed our obsession with buying unreasonably difficult items to transport such as bowls or plates. I paced myself this time and started the trip with books, heavy at least they are not breakables. We ended our trip with dreams of future plans for family travels and until next time we are back in our adoptive country we shall buy overpriced Jaffa Cakes from the British Goods store in Toronto. This entry was posted in The Wanderer and tagged Arcola Energy, Blickling Estate, Cley, Cley next the Sea, Cookie's Crab shop, London, Norfolk. Bookmark the permalink.